The seventh round at the 7th Tal Memorial saw two upsets - both the joint overnight leaders losing their games! Not only did Alexander Morozevich lost his second game in a row to last seed Evgeny Tomashevsky, but joint leader and former world chess champion Vladimir Kramnik lost to Luke McShane as well. This allowed five players now in joint lead. Here is the chess game in which Lithuania's Viktorija Cmilyte beat reigning women's world chess champion Hou Yifan in Kazan at the ongoing women's chess grand prix during round 4. Thursday was a rest day at the tournament. Elina Danielian of Armenia is leading the event after four rounds. Live transmission - both of the games and the playing hall - is available daily from India time 4.30 pm at the official website. Kazan, the capital of the Republic of Tatarstan, is hosting the FIDE Women's Grand Prix, part of a series of elite events organised by FIDE and Global Chess from June 9-23. There will be six tournaments over two years in various countries around the world. The winner of each tournament takes home 6,500 Euros, the total prize fund is 40,000 Euros. The overall winner will get a further 15,000 Euros at the end of the series. India's Koneru Humpy is also playing well at the tournament and is placed second with 2.5 points after four rounds. The fifth day of game play at the 7th Tal Chess Memorial currently being played at the Pashkov House in Moscow saw two decisive games. Alexander Morozevich capitalised on Aronian's piece sacrifice for several pawns as the latter drifted into a loss. 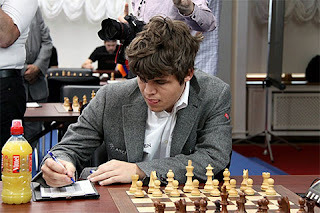 Magnus Carlsen continued with his out-for-a-win attack and won over overnight joint leader Teimour Radjabov. The other games were a draw, but not without efforts by all players. The 7th edition of the Tal Chess Memorial includes 10 players vying for the title over a round-robin format from June 8 to 18. Rest days are June 11 and 15. Time control: 100 minutes for the first 40 moves, 50 minutes for the next 20 moves, and 15 minutes for the rest of the game, with an increment of 30 seconds per move starting from move one. Games can be viewed live online at the official website. The prize fund is 100,000 Euros. 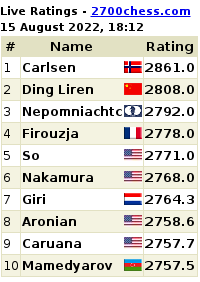 Magnus Carlsen - the world No. 1 - can be the talk of the chess world even when he plays a draw. That's the most fascinating aspect of this genius chess player. Playing at the Tal Chess Memorial in Round 4 in Moscow on Tuesday, Magnus Carlsen went all out to fetch a win against Alexander Grischuk. However, the Russian Grandmaster was up to the challenge. A great fireworks game that must be viewed. The game ended in a draw, but not without new chess ideas and lots of excitement. 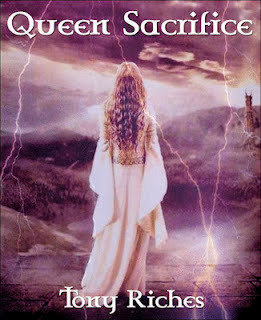 You must watch it in our Chess King game applet. The draws in the fourth round of the 7th Tal Memorial don't tell the whole story. Magnus Carlsen with three draws in the previous rounds - went all out to try crazy stuff against Alexander Grischuk. The game ended in a draw after some amazing ideas from the World No. 1. Morozevich and Radjabov - the overnight leaders - chose to play out a draw. Fabiano Caruana got a win over Evgeny Tomashevsky. 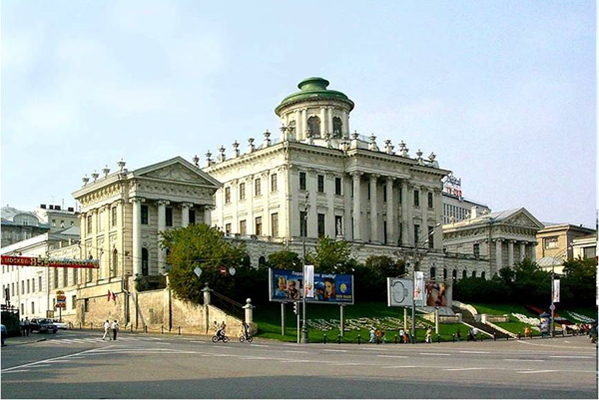 The 7th Tal Chess Memorial is a 10-player round robin taking place in the beautiful Pashkov House in Moscow from June 8-18. The next rest day will be on June 15. Time control: 100 minutes to complete 40 moves and 50 minutes for 20 moves, followed by 15 minutes for the rest of the moves. There is a 30-second increment from the first move. You can watch the games live on the official website. Draw offers are not allowed before the first time control. 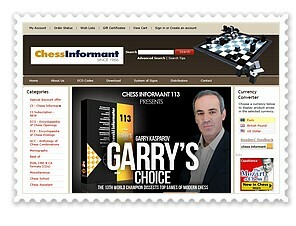 The Tal Chess Memorial prize fund is 100,000 euros.